Are you seeing a CES theme yet? Panasonic has launched a new range of camcorders at CES 2011, confirming its commitment to user-generated 3D content. Panasonic has launched 12 new camcorders in total at CES this year, five of which can capture stereoscopic 3D video. The top of the range models, including the HDC-TM900, HDC-HS900, HDC-SD900 and HDC-SD800 all feature Panasonic's Advanced 3MOS array (three sensors dedicated to a different colour) and the Crystal Engine PRO processor which offers improved light sensitivity and low-noise characteristics in low light. "We expect that the new Full-HD 3MOS camcorders will be our best yet, with image quality that rivals professional video equipment and further advancements on last year's award-winning predecessors," says Chris Rice, Senior Product Manager, Imaging, Panasonic Consumer Electronics Company. "The full-HD camcorders not only have that added wow-factor – with 3D video shooting capability – but consumers can also capture amazing 2D videos, easily with our larger, more intuitive touch-screen LCDs." 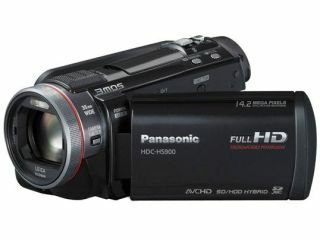 All of Panasonic's new camcorder models will be available from February 2011. UK pricing is still to be confirmed.